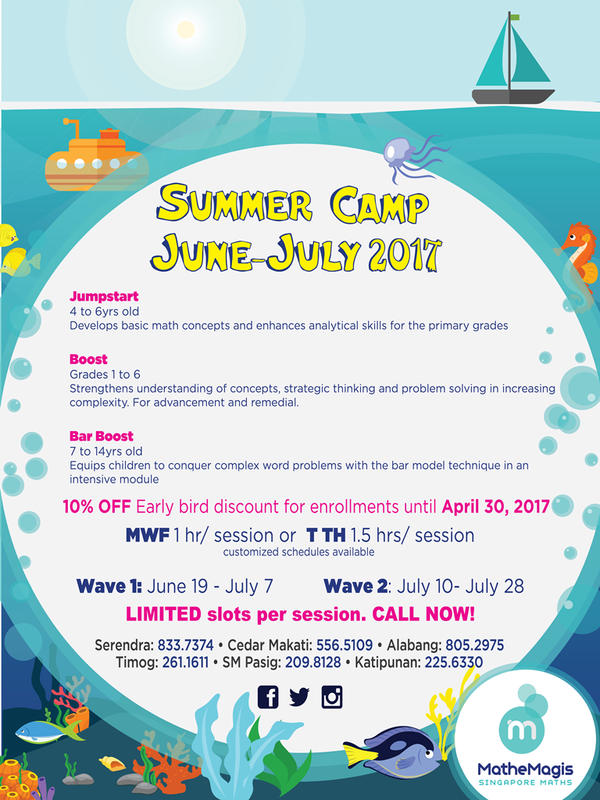 The MatheMagis Summer Camp for June – July schedule is here! Still looking for an academic activity that would fit your child’s schedule this summer? MatheMagis Singapore Maths offers a programs for both advancement and remedial skill-building of Singapore Math. *Enroll with us today and help increase your children’s productive learning time while on break. Available in all six (6) branches! Schedule your child’s FREE diagnostic assessment now. Limited slots per session. Click HERE to reserve your slot now.